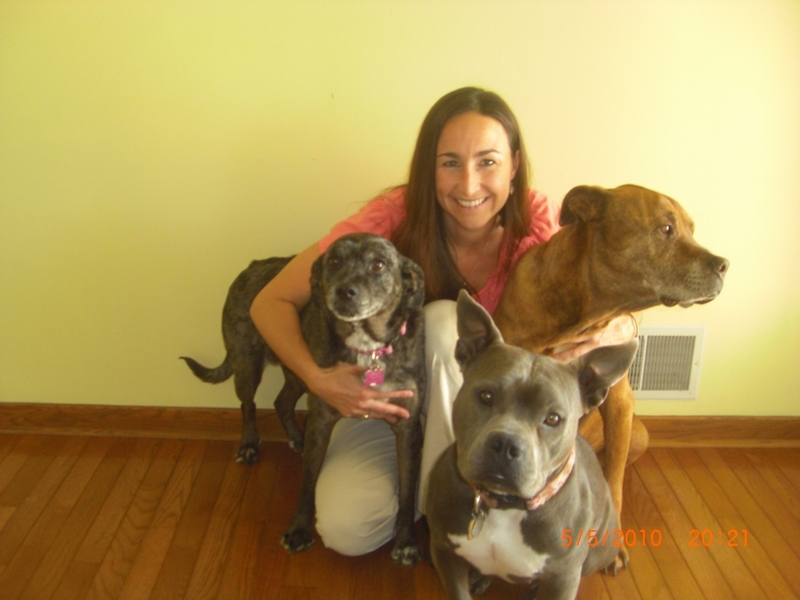 Dr. Wendy Kashenider graduated from Michigan State University's College of Veterinary Medicine in 1998. Originally from Westland, MI, a suburb of Detroit, she spent her first year of practice in Livonia, MI. She then moved to the DeWitt area in 1999, where she practiced in South Lansing and Eaton Rapids for the next four years. Dr. Kashenider joined DeWitt Veterinary Hospital in February 2003. She purchased the veterinary hospital from it's retiring founder, Dr. John M. Hinson in July of 2003. Dr. Kashenider loves surgery and medicine of small animals, exotic pets, and wildlife. She also participates in non-profit organizations such as A.R.N.I. (Animal Resource Network, Inc.) and Wildside based out of Eaton Rapids. She resides in DeWitt with her husband Gary, two children, three dogs (Ally, Babe, and Bubby pictured above from left to right), and a cat (Penny). She enjoys the outdoors including fishing, gardening, and sports; anything MSU (go State!! ), reading, and just spending time with her family. You may not know that Dr. Kashenider and Gary had a band based out of Lansing called 'Dash Riprock' that was voted 'Best Country Band in Mid-Michigan's Best of the Best'. Dr. Kashenider played the keyboards and sang lead and harmonies. Dr. Carrie Bonemer received her D.V.M. degree from Michigan State University's College of Veterinary Medicine in 2003. Instead of jumping into private practice, Dr. Bonemer worked in the zoonotic disease section at the Michigan Department of Community Health for a year and a half. She found she missed working with patients and their owners however, so she left the health department and joined a small animal practice in Howell, MI. 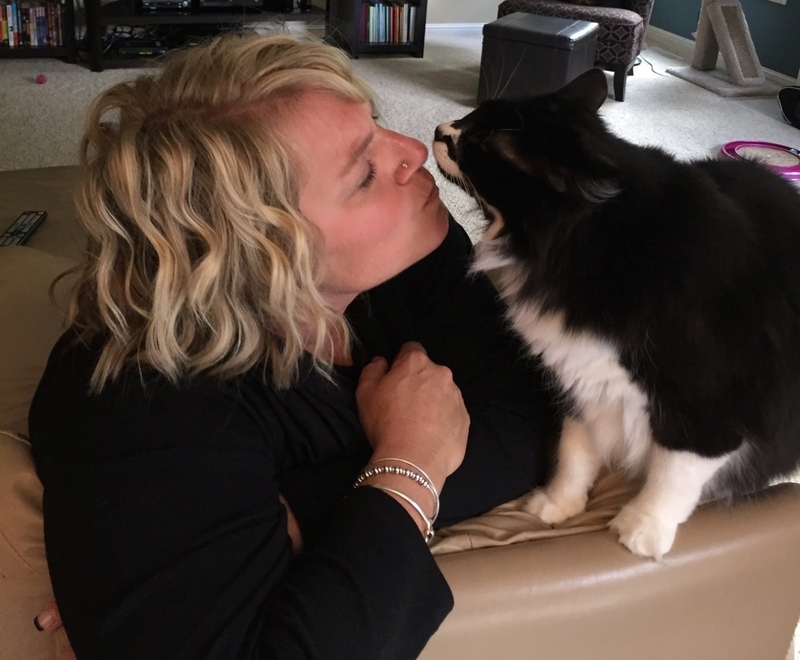 Small animal practice is Dr. Bonemer's passion and she spent 11 years practicing in Howell before joining DeWitt Veterinary Hospital in September of 2015. Dr. Bonemer's professional interests include soft tissue surgery and dentistry along with dermatology and internal medicine. Dr. Bonemer resides in Okemos with her husband and 2 sons. They also share their home with 1 dog (Yogi), 4 cats (Pudge, Oreo, Hooper, and Murray), and 1 rabbit (BunBun). She is an avid Spartans fan and loves Tigers baseball. In her spare time Dr. Bonemer enjoys playing tennis, doing pilates, making beaded jewelry, and reading. Dr. Sveller has practiced medicine as a relief veterinarian at DeWitt Veterinary Hospital since 2006. As a relief veterinarian, Dr. Sveller works a few times a month at our clinic as well as other veterinary clinics in the state. "Doc Connie" graduated from Michigan State University, College of Veterinary Medicine in 1985 and in 1998 she opened her own practice in Swartz Creek, MI. In 2005, she decided to semi-retire. She sold her practice and began her career as a relief veterinarian. Dr. Sveller and her husband, Rick, have been married for 25 years and have a son, Shane.